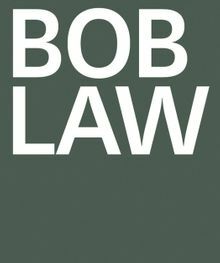 Characterised by an economy of representational means, Bob Law’s Field works use line to convey space and mark time. During Law’s stay at St Ives in the late 1950s, the artist developed a series of Field drawings that reduced elements observed in the surrounding landscape – the sun, trees and clouds – into a set of abstract signs held within a rhomboid frame. The series was, in Law’s words, ‘about the position of myself on the face of the earth and the environmental conditions around me’. Using a thickly drawn line to contain and delimit the almost-blank pictorial field, Law refined his early abstract language in subsequent monochrome works, from ‘open’ and ‘closed’ drawings to the monumental paintings of the Mister Paranoia series. Paperback, 7.63 x 9.13 in. / 48 pgs / 29 color. 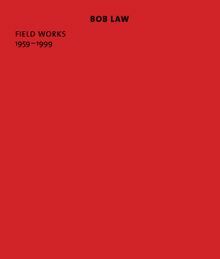 Accompanying an exhibition at Thomas Dane Gallery, London (9 October – 7 November 2015), this volume draws together over 20 works by Law and includes an essay by Douglas Fogle, which focuses on the artist’s pursuit of the void’s poetic possibilities. Clth, 9.63 x 11.63 in. / 256 pgs / 300 color.